Today’s guest is illustrator and author, Hazel Mitchell. (Isn't she adorable?) Welcome Hazel. Tell us about you, please. 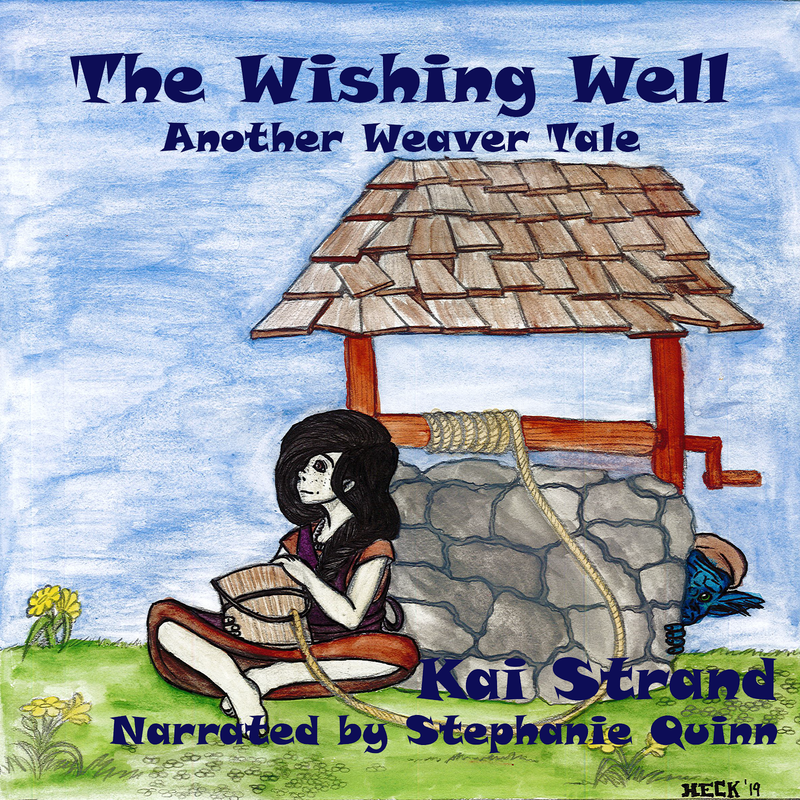 Originally I am from Yorkshire, England, but now I live in Maine, USA creating books for children. It's my dream job! I went to art school in England, then got sidetracked, joined the Royal Navy, later ran a graphic design business and then moved to America and began illustrating. When I'm not drawing I love to sail, read, garden and look after my animals. I have 2 horses, 2 dogs, a cat and several snow shovels. I still miss England, especially fish and chips and mushy peas, but I'm learning to love lobster. See more of my work at www.hazelmitchell.com. Mushy peas? Really? Ha ha. Can you tell us about your latest book? '1,2,3 by the Sea' is my newest book. 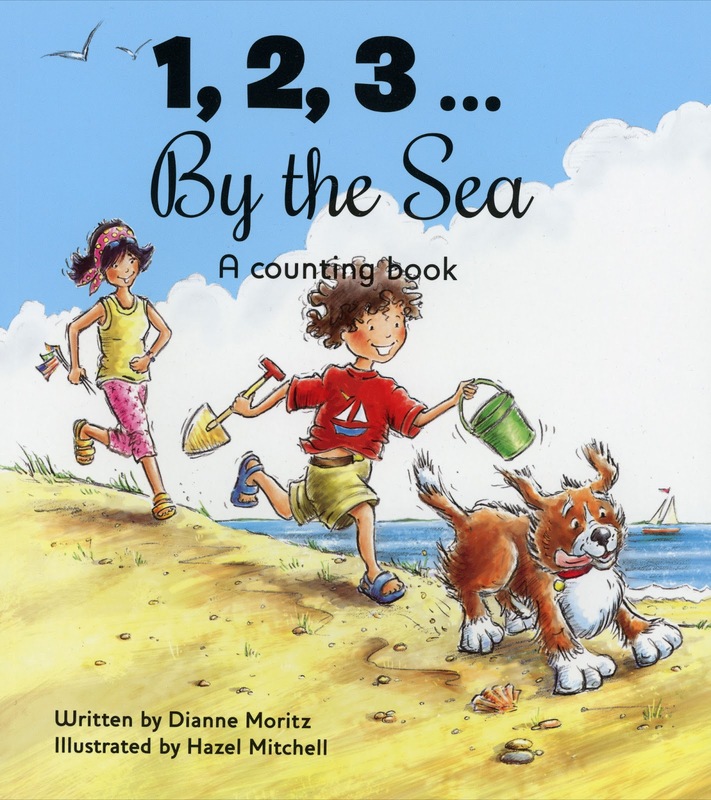 It's a counting book by Dianne Moritz and published by Kane Miller. I had a lot of fun drawing seaside scenes! I also have a book out in fall this year called 'One Word Pearl' by Nicole Groeneweg and published by Charlesbridge. It's about a little girl who cuts out and collects words - until one day they go crazy and chaos follows. Both publishers you’ve mentioned produce such lovely books! You must feel very blessed to be working with them. 'Making Comics' - Scott McCloud - if you are working on a graphic novel, which I am, it's a great resource. 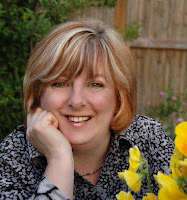 'Second Sight' by Cheryl Klein- great stuff on writing and process. 'The Complete Idiot's Guide to Publishing Children's Books' by Harold Underdown - first book I ever read on kidlit and still relevant. Photoshop - I started using it when it was still in the software cradle (1987ish?) and have used it for a variety of work ever since. Now it's mainly for colouring, layout and manipulating my hand done artwork. It's an important part of my process. Mechanical pencil - there is nothing like a GOOD pencil. I always used Derwent pencils, but a few years ago I began using a mechanical and now I love not having to sharpen. But I do use very soft pencils in my illustration work to get a good black line. Scanner - a good scanner is imperative when working digitally from hand produced work. I'd love a large format, but right now I have an Epson V600 Perfection. I stitch large pieces back together in photoshop. I also use it for scanning textures and objects for collage. Craft -Learn your craft, learn everything you can. Never stop learning, never stop drawing, never stop writing. Network - get out there and meet people, in real life, online, at conferences and workshops. If you are shy, take a public speaking class - but this is a people business! Patience - you soon learn that waiting is a skill you will need. Where can our tech-savvy readers go to keep up with you and your work? Thank you for charming us on this week’s Three Times A Charm, Hazel. Best of luck to you, your art and your writing. Readers, be sure to browse her sites and see her wonderful work! If you have any questions, leave them in comments. I'm sure Hazel will be happy to answer them. I 'tumbled' across Hazel on Tumblr not long ago. I love the sketches she shares there. Her style is just what I love and what makes me smile when it comes to illustrations. Thanks Barbara ... that's a wonderful compliment. Yay, I have read two of your three book recommendations! Lovely interview, ladies. I am a big fan of Hazel's art and can't wait to see her writing published too! Hi Hazel. Very nice interview. I enjoyed "meeting" you. the books are lovely. Contratulations and best of luck. Thanks for stopping in to visit with Hazel, Barbara, Joanna and Beverly! Always nice to see your smiling faces.